Guatemala is the the homeland of the Mayan people. A vibrant and complex culture, the Maya still form more than 60% of the country's population. For over 600 years they held a splendid, high culture of arts, architecture, mathematics and astronomy. Based on their observation of the rhythms of nature and the heavens, they developed one of the most complex and nuanced calendar systems known to this day. 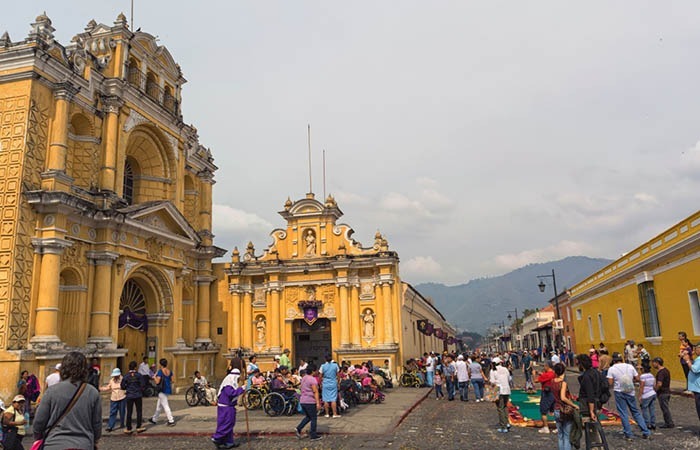 After a few days in the ancient colonial capital Antigua, we embark on an unforgettable journey into the small traditional villages around Lake Atitlán, dwarfed by three towering volcanoes. Here we will learn about the resurgence of ancient Mayan cultural traditions and rituals that were for decades suppressed by the government. Morning yoga and evening meditation frame our days. We will participate in healing fire ceremonies at dawn; learn how to weave on the back-strap looms, and how to make authentic Guatemalan tortillas. We may indulge in a morning visit to a papaya vendor or participate in a lakeside yoga class, followed by a leisurely day spent soaking in the sun and swimming. The evenings will be spent watching the sun set over the lake, a home cooked meal and perhaps venturing into a Mayan sweat lodge, before tucking into bed under a deep blue starry sky. 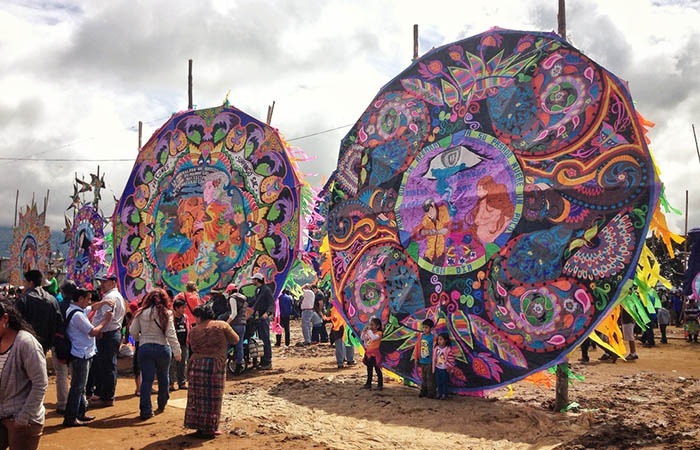 By joining this journey you will support Centro Taa’ P’it, a Mayan-founded intercultural learning center, with an after school program using both 21st century technology and environmental education rooted in their traditions and culture. Travelers will also get a chance to immerse themselves with the Center while in San Pedro, meet the founders and learn about their important work for the children in the community. The trip will conclude with a full day journey to Tikal, the Ancient Mayan capital of the North. This remarkable journey will have a particular focus on the resurgence of Mayan culture and its presence in today’s Guatemala. ANTIGUA is a city that refuses to surrender. Though earthquakes and volcanic eruptions have riddled its history, the city’s resilience has preserved a charming, dynamic culture full of pastel hued facades and Spanish Baroque flair. This UNESCO World Heritage Site offers speckled ruins of colonial architecture peppering the surrounding landscape. As a cultural center of linguistics, Antigua’s horizon basks three volcanoes, dominating the horizon. LAKE ATITLÁN Located in the Western highlands of Guatemala, the volcanic Lake Atitlán is considered by many to be the most beautiful lake in the world. This mile high deep blue lake is overseen by three massive volcanoes; San Pedro, Atitlan, and Toliman. Thirteen small indigenous villages speckle the shores of this sacred body of water, all easily accessible by a network of lanchas (boats). This land is rich in ash and minerals and supports a variety of agriculture such as extensive coffee and avocado orchards, and a variety of farm crops- most notably corn and onions. The lake also serves as a rich food source for the indigenous communities that inhabit the area. Founded and led by Mayans, CENTRO TAA’ 'PIT is a non-profit, intercultural learning center supporting local Tz'utujil children in computer technology and ecological education. This unique program began in an effort to strengthen the Tzutujil Mayan culture and to also protect the sacred “Mother Lake” whose material and spiritual resources are invaluable to the indigenous people. Day 10 | Flores/Tikal After breakfast, the group will split. 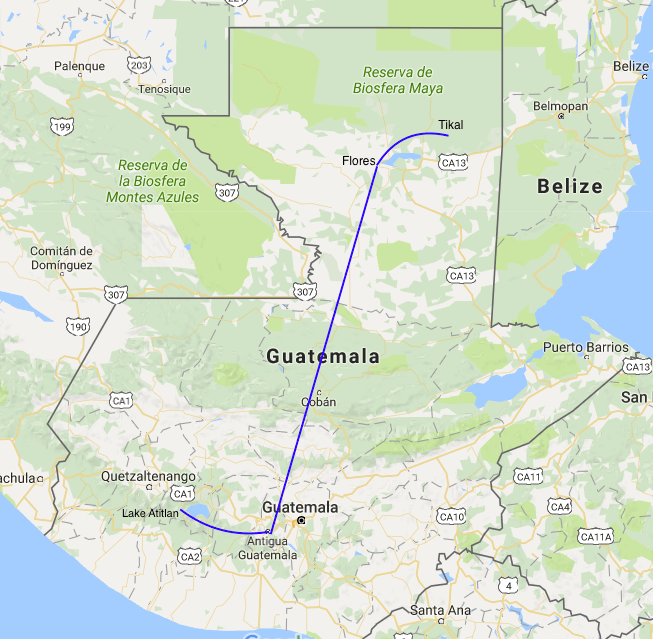 For those who have chosen not to go on the Tikal extension, head to the airport for flights home. TIKAL In the Mayan language, the name Tikal means ‘the place of spirit voices”. Nestled in the jungle of the southern lowlands near Petén, Guatemala, the UNESCO World Heritage site of Tikal offers travelers a glimpse of the pre-Columbian art and mathematical genius of the Maya civilization. Inhabited from the 6th century B.C to the 10th century A.D., this vast ceremonial city hosts a multitude of towering pyramidal temples, hieroglyphic inscriptions, and ancient tombs and palaces, all bordered by a lush landscape rich in flora and fauna. NOTE: Travelers should be aware that most streets in the city of Antigua are cobblestones, and there are many uneven surfaces and sidewalks. The Guatemalan countryside around Lake Atitlán, in Flores and Tikal is underdeveloped and has in some areas a bit of a rugged terrain. On the lake, we will be traveling in local motorboats, so called lanchas, that requires the traveler to be able to climb in and out of boats and up on to docks. This journey requires participants to be able to walk a couple hours each day. There are many times to rest but ability to keep up the group’s pace is essential. Most people find no issues with the activity level but those with any conditions should call our office to discuss their limitations. INCLUDED: All in country transportation per itinerary including round trip airfare to Tikal; hotels in Antigua, Lake Atitlan, Guatemala City, Flores/Tikal; breakfast daily, 7 lunches and 8 dinners (B/L/D per itinerary); guest speakers; all entrance fees on itinerary; CCJ Trip Manager Cilla Utne; preparation materials; tips for bellman and bottled water on the bus. NOT INCLUDED: International air travel to Guatemala; alcoholic drinks; meals not on itinerary, 4 lunches, 4 dinners, (B/L/D per itinerary); excursions not on the itinerary; tips for local guide and driver (optional, yet customary); travel cancellation and evacuation insurance (strongly recommended, info will be sent upon registration). 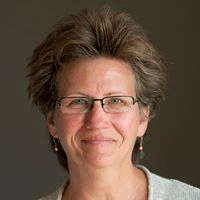 CILLA UTNE: Cilla joined Cross Cultural Journeys as CEO in January of 2015. For the past 16 years, she has worked in the field of intercultural consciousness and facilitated cross-cultural training programs for executives living and working across cultures. A native of Sweden and a world traveler, she has lived for extended periods in Spain, the UK, Chile. 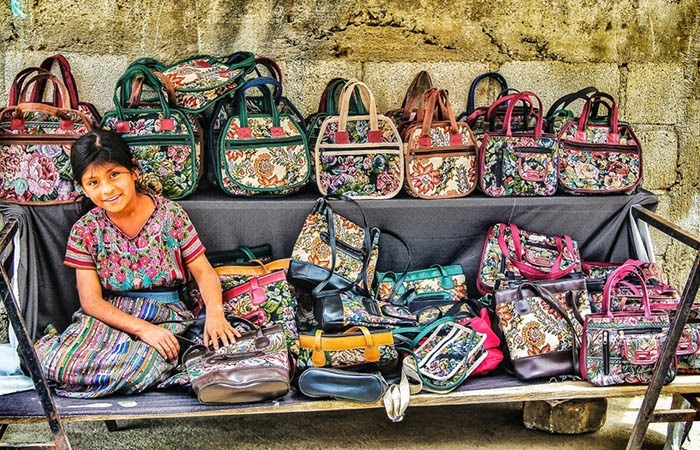 She lived three times in Guatemala in the past decade, and spent about half the time in Antigua, and half the time on Lake Atitlán. Cilla holds an MBA in Sustainable Business from Pinchot University at Presidio, and is often a speaker on the links between sustainability and cultural values. Cilla is also a budding author, working on a novel about her mother’s childhood, contemplating how unresolved trauma can impact future generations. 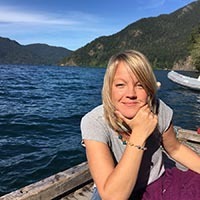 Based in the US since 1998, she lives on Bainbridge Island, Washington, where she is co-parenting her 10 year old son, adopted from Guatemala in 2007. NANI BARAN: Guatemala has a special place in Nani's heart. In 2011, she took her first trip with her three sons, knowing she would be back. In 2012, she returned as a member of the Compassionate Listening Project's Journey to the Heart of Guatemaya delegation. On that trip, she fell in love with the Centro Taa' Pi't program and people, and has since returned at least once a year. Nani is a co-founder of Friends of Taa' Pi't, which connects the program with people who have similar values and vision. She is drawn to the spiritual, environmental and cultural healing that is taking place on Lake Atitlan. A psychotherapist and grief counselor in private practice, she also works on a palliative care team on end-of-life issues. She lives happily with her wife and two dogs on Bainbridge Island and in Indianola, WA.